Humboldt State will be all about careers for students this month with three events: a professional clothing donation drive, a career closet, plus a career expo, where students can network, interview with potential employers on the spot, and get free professional headshots. The Career & Volunteer Expo.The Academic & Career Advising Center (ACAC) is seeking donations of gently used professional clothing for students before the Career and Volunteer Expo on Thursday, Feb. 14. ACAC is seeking clothing and accessories, and from Feb. 4-8 will transform part of its space into a clothing “store” where students can try on and select free professional clothing. 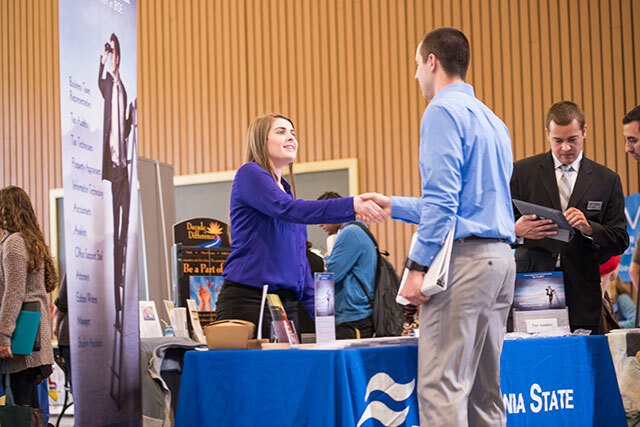 The Career & Volunteer Expo will see more than 100 employers and volunteer agencies convene at Humboldt State’s West Gym from 12-4 p.m. on Feb. 14. Employers will conduct informal interviews and take applications, as well as provide general career information and answer questions about summer, seasonal, internship, and permanent employment opportunities in a variety of fields. The community organizations will provide information about volunteer and service learning opportunities. A photographer will be on hand to take free high-quality portraits throughout the day, too. ACAC says employers are looking for professional people to hire and first impressions make all the difference. Anyone interested in donating professional clothing can bring it to Gist Hall 114 between 9 a.m. and 4 p.m. before Friday, Feb. 8. Students can get a resume review during the ACAC’s drop-in hours, Monday through Friday from 10 a.m.-1 p.m. in Gist Hall 114.